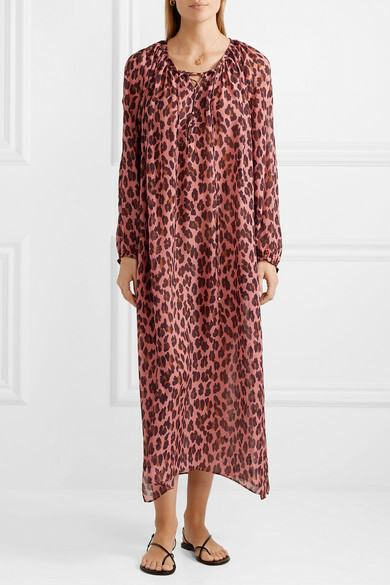 Leopard print is a signature throughout Stella McCartney's collections - no doubt a nod to her love of animals. 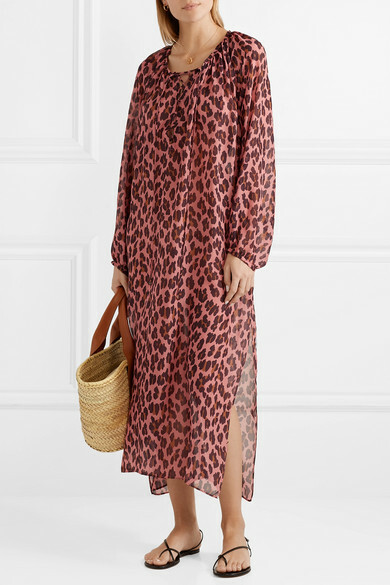 Made from weightless silk-chiffon, this breezy kaftan has lace-up ties along the neckline and split sides that emphasize the loose fit. 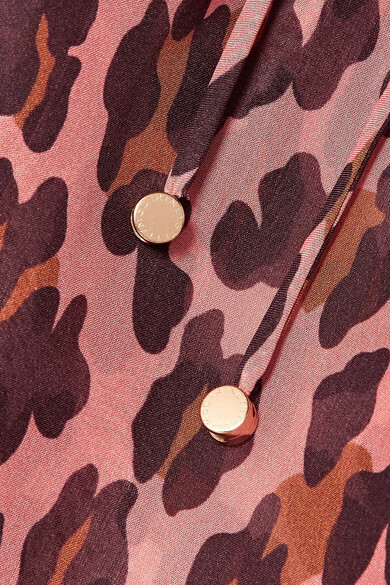 Layer yours over the matching bikini top and briefs on vacation. Shown here with: Stella McCartney Swimsuit, HEREU Tote, Gianvito Rossi Sandals, Sophie Buhai Earrings, STONE AND STRAND Ring, STONE AND STRAND Ring, Alighieri Necklace.